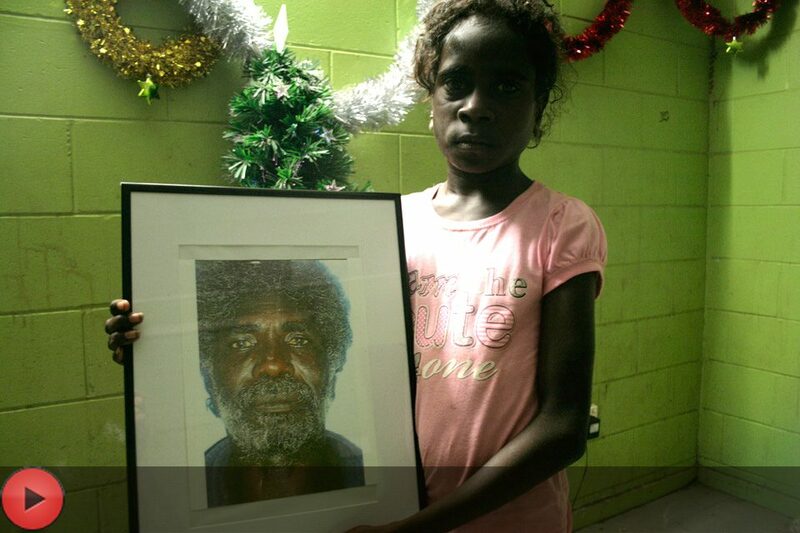 The complex sorrows and joys of Christmas in northeast Arnhem Land, one of the largest and most isolated tracts of Aboriginal land in Australia, are imbued with the transformative cycle of life, death, and rebirth. Narrated by Yolngu director Paul Gurrumuruwuy, this film examines how stories first brought by missionaries in the mid-20th century have become the basis for celebrating the enduring place of the ancestral in the modern world. The story is symbolically structured around the graves of three Dhalwangu clan leaders. 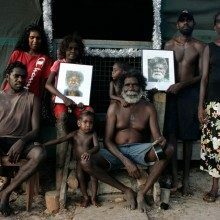 Building from the slow and melancholic labour of clearing and decorating family graves, through to the candle-lit singing of Christmas eve and the food preparations of Christmas morning, the film climaxes in the performative and emotional energy of a specially conceived Yolngu Christmas Day bungul (ceremony). The initial aim of this experiment with new media and Yolngu aesthetics was to “connect cultures through feeling” as director Paul Gurrumuruwuy put it. Yet, as filming unfolded, the process of image-making became a catalyst for vision and ritual innovation for Yolngu themselves. Manapanmirr, an expression that refers to a state of being joined or brought together, is a theme that pervades this moving film. It grew out of the larger ‘Christmas Birrimbirr’ project and the artists explorations of Yolngu image-making and aesthetics, an ongoing project of creative collaboration with Yolngu artists and performers.